The AEBP Celebrates some of the greatest sponsorship across the country. From local acts of sponsorship in kind, to large scale 3-5 year programmes of sponsorship that some of our members have negotiated in order to facilitate employer engagement with depth, for the young people and schools in their area. What sponsorship Nationally could possibly be needed? Sponsorship for the central unification of all providers, to help communication, training and sharing of best practice. Sponsorship from any company who would like National reach for particular DELIVERY. Sponsorship for AEBP conference, collaboration and partnership for effective delivery across the country. In short, The AEBP provides businesses with the ability to meet their Corporate and Social Responsibility policies in a managed enjoyable meaningful way. You can donate as much as you want and no matter how small, your donation can make a big impact on a young person’s future. 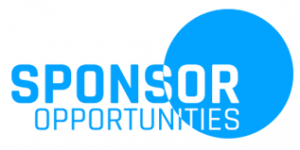 Opportunities to sponsor a specific geographical area or activity are readily available and welcome, but the ethos is about inclusion and presenting opportunities to all young people; for them to be enabled, understand and feel confident and inspired at the prospect of preparing and entering the world of work. challenge booklets and Guides tailor-made for individual needs. Promote your business or organisation to thousands of learners from schools, employers, their teachers and parents. Visibility of your business, courses and message to thousands of employers hosting work experience placements. Join us to share in the impact: as a sponsor we will shout about it through media, and our websites nationally. We will also share with you real life quotes and testimonials to use on your website. Your logo and organisation information will be on local and national websites. Most importantly we feel, you will have the reward and satisfaction you have made a difference.